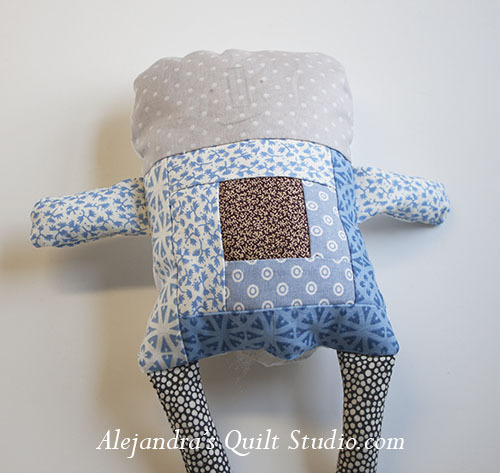 But I wanted to do some quilting, as I was thinking on what to do, I got the idea to work on a softie, a patchwork doll. Had this happened to you? Sometimes you have an left over block from a quilt you just finished. 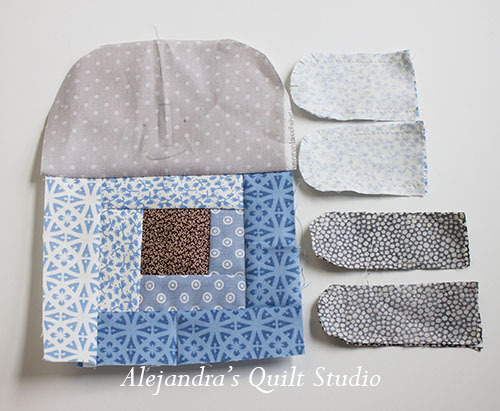 You have a drawer full with little pieces of fabric, but you don’t want to get rid of them as you love the fabric. You had been invited to a child birthday party and you would like to make something to give as a present. 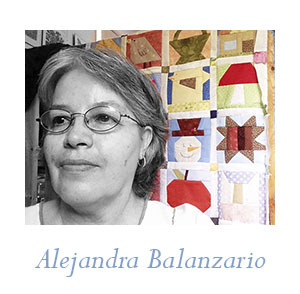 You had been invited to a Baby Shower and you would like to bring something unique and made by you as a present. If you have the idea to make something small, unique and fast, a Softie is always a good idea and today I have a full tutorial for you. 1. I had some left overs from my batting fabric, I don’t like to waste any little piece, and this time it was a long strip, I cut three pieces of the length I wanted to use for the softie, and I sew the three pieces together with some zig zag stitches on my sewing machine. 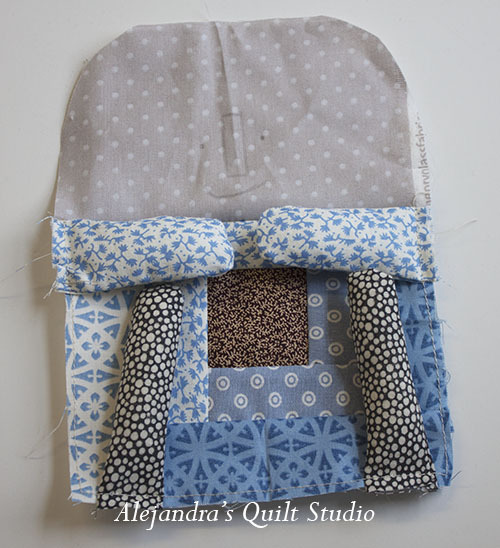 I had a log cabin block, it was the perfect size for this softie, a little big, but it will make it! 3. I cut all the pieces for the arms and legs and I sew them on the sewing machine, I left one side open and I made little cuts on the round side to be able to turn them out . I also drawn the face with a pencil. You can do the embroidery for the face on this step, I did it when the softie was made and stuffed, but I think it is easier to make it on this step. 4. I placed arms and legs on their places and I sewn them on my sewing machine, I like to do this step to hold arms and legs on their place when I sew the softie with the fabric for the back, this way I don’t need to place any pin to hold them on their place and when the doll is all sewn it is hard to remove pins. 5. 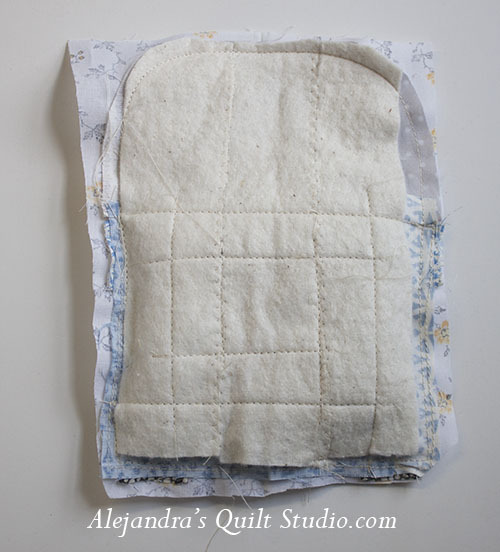 I place the fabric for the back on the doll and I sew all the border, I leave a space open to turn the doll out. Once the doll is sewn I trim the fabric for the back and I make little cut on the curves. Then I can turn the doll out. 6. This time I stuffed the doll softly, and by hand I sew to close. 8. 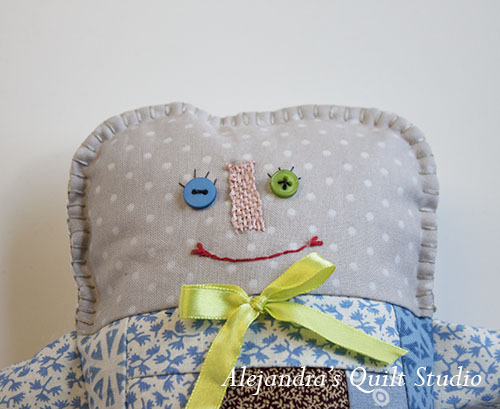 I was feeling a little creative when I was making the doll’s face, I worked the nose as if I was working on a loom, I did some embroidery on the mouth and couldn’t miss a heart on each end. One eye blue and one eye green, for the hair, I did some button hole stitch with a thread of the same color of the fabric. And as a final touch a big green bow. 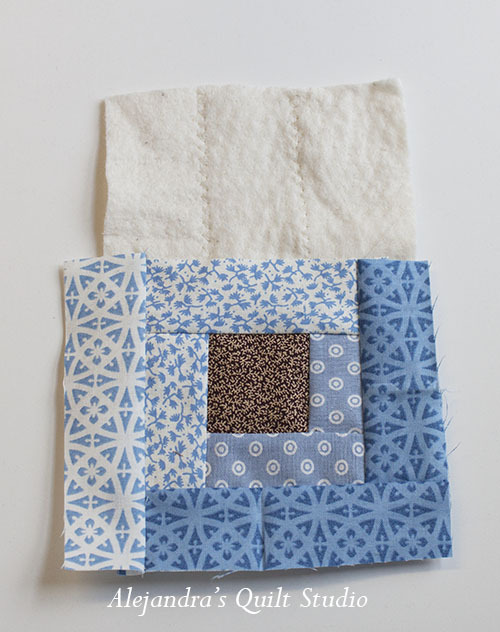 Well, this is an idea to make with those little blocks I use to keep after I finish a quilt top. 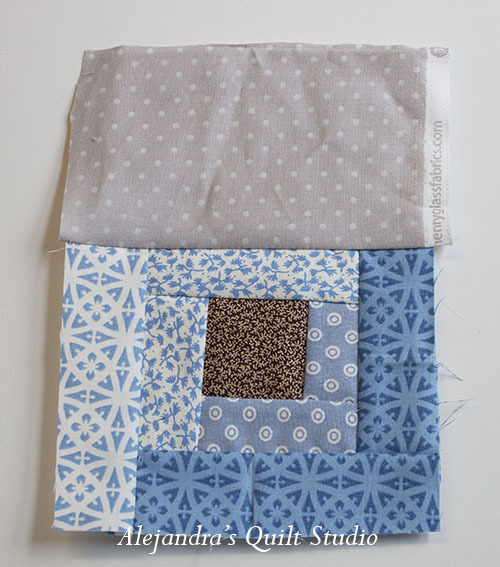 If you have any Patchwork block it will look nice on a softie. 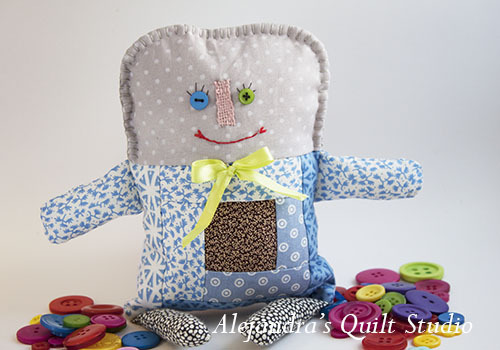 Making softies is fun and it is a good use of all those little pieces of fabric I don’t know what to do with them, a softie is always a good idea to give as a present to a child, but if you think your softie is more like an art doll, it will be perfect to give as a present to a good friend! Do you collect art dolls? Have you made any softie before? I thank you for your visit, hope you have some fun making this softie, if you have any questions, leave a comment and I will answer it shortly.